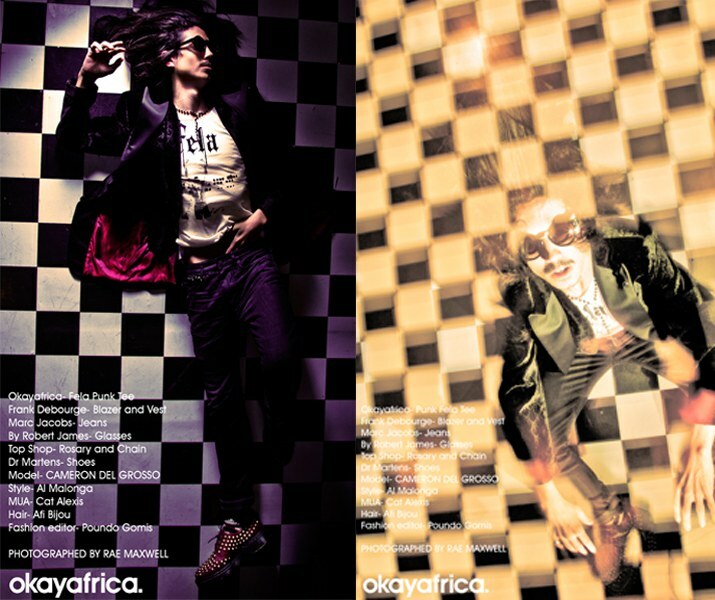 This is a fashion editorial showcasing up-and-coming designers and mainstream fashion with a punk Fela tee-shirt. You know we work around the clock to provide you with the latest innovative fashion trends. This week's Style Guide features the Punk Fela Tee, which you can find at our Okayafrica Store, among a solid cross-selection of emerging designers including Nzinga Knight, Zebi Williams, Debra Goren, Fennimas, Frank Debourge and a mix of established brands like The Kooples, Diane Von Furstenberg, Woolford, Marc Jacobs, Bailey of Hollywood, Top Shop, By Robert James, Doc Martens, T.U.K and BCBG Max Azria. Punk has always connected music and fashion. Though the punk aesthetic was first a state of mind, through designers like Vivienne Westwood it quickly became a popular fashion. The punk movement originated from the frustration and loss experienced by adolescents in the modern metropolises of New York and London. We remember it as a rejection of prettiness that borrowed strong, anti-establishment symbols from diverse sociopolitical movements and took youth culture by storm. Fela Kuti always called for youth and the general public to wake up and influence change in his native Nigeria. In this way, we compare the scope and magnitude of both Fela and punk to each other. Don't get us wrong, it's not the same kind of battle or the same kind of commitment — but both fought against an established, repressive establishment and flourished in the strength of their own movement. In this Style Guide, you'll discover a fantastic universe where two distinct figures revel in their multiple identities. Photographer Rae Maxwell captures the essence and spirit of each of her subjects. She has an eye that catches beauty's fleeting moments — revealing them underneath the surface. Al Malonga's fashion styling doesn't incorporate anything exuberant; it's all kept in a bold and edgy subtlety. Last but not least, the make-up and hair work done by Cat Alexis and Afi Bijou, respectively, plays a key role in the characters' portrayal. 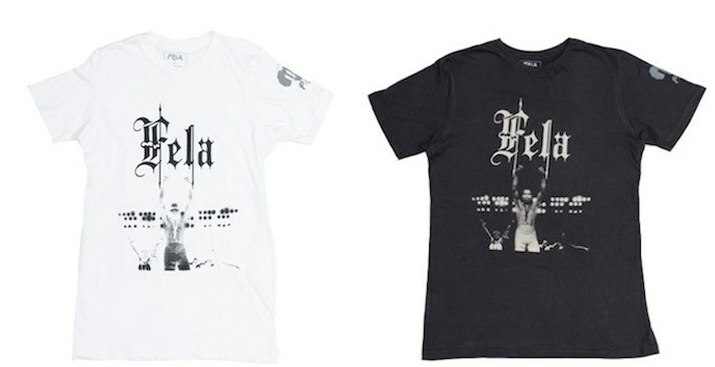 How do you add a punch of edginess to your Fela Kuti tee? With an uplifting mix of gothic, punk, glamour, hipster colors and pieces that create an unthinkable bold look and statement. Tweet #StyleGuide to talk about our fashion editorials.